5.1???? Notice of Motion - Cr Janet Court - Request for Leave - 19 to 31 March 2012 Inclusive (SF1224) ? 11.4?? Final Draft Noxious Weeds and Other Invasive Plants Policy ???? Cr Janet Court is requesting leave of absence from 19 March to 31 March 2012 inclusive. Full testing to occur at Senior Citizens Centre on Sunday 11 March. Deferred to 11 April Council meeting..
February 2012 GPC.? Report on offer to acquire Saleyards from Nambucca River District Agricultural Association Ltd to be reported to Council?s March GPC. Letter sent 26/10/11.? Follow up letter sent on 21/2/2012.? Response received and circulated to Councillors. Report in December 2011. ?Deferred due to resignation of Property Officer. Council receive a report detailing what would be involved and the resources required in staffing and finances for Council to develop a tree inventory. Report being prepared for March GPC meeting. A report goes to Council on the composition of the Saleyards Advisory Committee and the provision of delegated powers under S355 of the LG Act. To be reported to the March GPC along with the offer from the Nambucca River District Agricultural Association Ltd.
Council receive a report on an organisation structure that would give effect to having 2 Directors as well as 3 Directors down to management level.? Further, the proposal for the 3rd Director include an additional budget allocation. Special meeting arranged for 22 March 2012. Council has received a letter from the Valla Beach Community Association asking that Council undertake polling in its next resident satisfaction survey on community attitudes to 4 wheel drive vehicles on beaches, and especially on beaches around Valla.? 1??????? That Council incorporate a question in its 2013 Resident Satisfaction Survey on community attitudes to vehicles on beaches. 2??????? That the Valla Beach Community Association be advised of Council?s decision. Council can decide whether or not it wishes to undertake polling on community attitudes to vehicles on beaches. The General Manager attended a meeting of the Valla Beach Community Association on 20 February which discussed beach access and 4 wheel drive vehicles on beaches. Council has now received a letter from the Valla Beach Community Association asking that Council undertake polling in its next resident satisfaction survey on community attitudes to 4 wheel drive vehicles on beaches, and especially on beaches around Valla.? They ask whether it would be possible to have a question in the next random polling, and if so when it would take place. The last resident satisfaction survey was undertaken in 2010 and Council discussed undertaking them at 3 yearly intervals.? The last survey cost $14,520. There is no objection to seeking an assessment of community attitudes to vehicles on beaches.? On the basis of the discussion at the Valla Beach Community Association there would seem to be strongly held views in the community in relation to the issue. A suitable question would need to be developed which encapsulates the arguments, both for and against. Beach access issues are also discussed in the Coastal Zone Management Plan. There has been discussion at the Valla Beach Community Association about vehicles on beaches. The proposed polling will elicit community perceptions about the impact of vehicles on beaches, including to the environment. The proposed polling will elicit community perceptions about the impact of vehicles on beaches, including social impacts. In the context that the question about vehicles on beaches would be undertaken with Council?s scheduled resident satisfaction survey there would be minimal budgetary impact. Council does not have to have a position in the matter.? Alternatively it could support the Aboriginal Land Claim. Council has received the attached correspondence from Crown Lands concerning an Aboriginal Land Claim pursuant to the Aboriginal Land Rights Act 1983 from the NSW Aboriginal Land Council. The section of land the Crown Lands Division seeks Council comment on is the heavy edged land shown as Lot 7306 on the attached plan.? The Council is Trust Manager of this Crown Land which is set aside as a public recreation reserve. f.??????? do not comprise lands that are the subject of an approved determination of native title ? The Act doesn?t define an ?essential public purpose?. The land has been inspected.? It is comprised of a steep bank to Deep Creek and a smaller flatter section at the top of the bank which is maintained as a bush fire hazard reduced buffer for the adjoining houses on Ocean View Drive.? The flatter section has the potential to be further developed as a neighbourhood park with an attractive outlook over the Deep Creek estuary and the ocean. There has been consultation with the Chief Executive Officer of the Nambucca Heads Local Aboriginal Land Council.? She advises that the Land Council has 72 outstanding land claims for Crown Land between Nambucca Heads and Valla Beach.? This land is one of those claims. In relation to this particular claim she advises that the land has cultural significance for story telling and food gathering in common with other foreshore land.? It is acknowledged that the land is unlikely to have any economic value but it has other social and cultural values for the Aboriginal community. In the event that the Aboriginal land claim is successful, the Nambucca Heads LALC is eligible to receive Commonwealth government funding for the management of their land holdings. Therefore the land claim is unlikely to have any impact on the future use of the land.? The major question is who is best placed to manage the land.? Whilst the desire and capability of the Nambucca Heads LALC to own and manage culturally significant land is acknowledged and accepted, the expectation of nearby residents is likely to be that Council is best placed to manage the land. Council should advise the Crown Lands Division that it would prefer Part Reserve 82967 (lot 7306 DP 1157223) to remain as Crown Land for the reasons that the Reserve is required for essential public purposes being bush fire hazard reduction; access to the riparian zone of Deep Creek for weed control and finally as a neighbourhood park. It is not Council?s responsibility to undertake consultation in relation to the Aboriginal Land Claim.? There is nothing to indicate that adjoining and nearby residents have been informed of the Claim.? There has been consultation with the Chief Executive Officer of the Nambucca Heads Local Aboriginal Land Council. The environmental implications relate to the future use of the land rather than its tenure.? As far as possible the land should be retained in its natural state being mostly steep and well vegetated and comprising the riparian zone for Deep Creek. The land has cultural significance to the Aboriginal community being foreshore land which was used for food gathering and story telling.? As indicated there is no evidence to indicate that adjoining and nearby property owners have been consulted. The report acknowledges the Annual General Meeting of the Nambucca District Band Committee of Management and the new Committee.? A copy of the minutes of this meeting is attached. 1??????? That Council endorse the Nambucca District Band Committee of Management?s minutes of the Annual General Meeting held on 20 February 2012 and thank the outgoing Committee for their work in the past twelve months. The Annual General Meeting of the Nambucca District Band Committee of Management was held on Tuesday 20 February 2012. That Council make a budget provision of $4,000 to the Nambucca District Band Committee of Management for 2012/2013.? In 2011/2012 Council made a contribution of $4,000. The total return on investments from 1 July to 29 February 2012 is $428,247 ? taking into account accrued interest to 30 June 2011. During February, Term Deposit interest rates ranged from 4.62% for 30 days and up to 5.86% for 1 year. Council placed four Term Deposits during the month of February 2012 ? Council currently has $7.28 Million with Managed Funds and the balance of $24.43 Million on term deposits. This report details all the investments placed during February and Council funds invested as at 29 February 2012. That the Accountants? Report on Investments placed to 29 February 2012 be noted. This report details all the investments placed during February 2012 and Council funds invested as at 29 February 2012. Interest on investments will be assessed with the December 2011 Budget Review.? Variances will be distributed between the Water, Sewerage and General Funds for the second quarter of the financial year. Development Application statistics are provided for the years 2006 to 2011 with a detailed breakdown on applications for the year 2011. Provided below is a detailed breakdown on the types of developments where applications have been made for 2011 compared to previous years, to 2006. The years 2009-2006 are in financial years, however 2010 and 2011 are calendar years. The (%) relates to the current year compared to the previous year. As can be seen, there has been a decrease in development applications received over the last 2 years with the total value of these developments remaining static. However, although average dwelling values have increased by 26% over 2010 and the total value of these dwellings increased for the same period, the actual number of applications for dwellings has decreased by only 8.3%. For the calendar year 2011, the area receiving the greatest number of applications was the Nambucca Heads area of the Shire with a total of 55 (26.5%) applications to the value of $8,908,634 (30.7%). Macksville was next with 41 (19.8%) applications at $6,451,867 (22.2%), followed by Rural-Residential with 38 (18.35%) applications with an investment of $5,227,748 (18%). It is interesting to note that there were 2 more applications received for Rural-Residential development in 2011 over 2010, with an increase in the value of the developments of 83.35%. Whilst development applications (which includes Complying Developments lodged with Council for determination) for new dwellings have seen a decline of 4 fewer new homes being submitted, it is important to note that there were 5 new dwellings approved as Complying Developments by Private Certifiers during 2011. Therefore the total number of new dwellings being submitted and approved within the Shire for the year was 49. Most new homes within the Shire continue to be owner occupied and for the 2011 year, the Rural-Residential areas recorded the highest number of new dwellings with 12, at an average cost of $301,583, followed by Nambucca Heads (10) and Valla Beach (9), Rural (5), Scotts Head (4), Macksville (3) and the Shire Villages (1). What Council has experienced is a decrease in the number of Alterations and Additions to existing dwellings from 58 in 2010 to 42 in 2011, however the value of these alterations has increased significantly from $2,202,610 in 2010 to $3,593,078 in 2011 an average increase per application from $37,976 in 2010 to $85,550 in 2011. A further 17 applications were approved by Private Certifiers for Alterations and Additions. The number of subdivision applications received for 2011 was 11 (a decrease of 27% over 2010) with 6 of these being for rural-residential subdivisions. A total of 31 subdivision plans were released creating 110 new lots. There were 44 rural-residential lots released in this total for the subdivision known as ?The Pearl? at Valla. The new lots for 2011 are outlined below. The figures show a 16.67% decrease in the number of DA?s received to February 2012 with construction costs decreasing by 87.48% compared to the same period in 2011. The total number of DA?s/CD?s approved for the month of February was 14 plus 1 modifications. Council in negotiations with applicant re the hours of opening. Once resolved the DA will be determined. AUTHOR/ENQUIRIES:???? Vicki Fernance, Youth Development Officer ???????? Nambucca Shire Council will receive $1230 funding (funding agreement signed 10 October 2011) to run activities for the youth in the Shire as part of National Youth Week 2012. Youth Week will be held 13 ? 22 April 2012 ? the theme is ?Imagine, Create, Inspire?. 1?????????? Council has the option of not being involved in Youth Week 2012. 2?????????? Council has the option to amend the program. 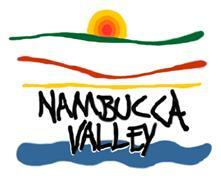 Nambucca Shire Council holds events every year around the Shire for Youth Week.? Events are funded by the annual Council allocation and matched funding from the Commission for Children & Young People. Kempsey Shire Council?s Youth Development Officer is organising a Scary Movie Night at Trial Bay Gaol on Friday 13 April.? It is anticipated that, together with Supervisors, 30 young people will travel by bus to attend this event (subject to numbers). This will consist of a 2-3 hour workshop for young people to give them an idea about working in radio.? The workshop will be tailored to suit and it is anticipated that up to 20 young people will attend. Alison Launt teaches dance in the Nambucca Valley and has agreed to do two workshops, one for beginners (3 hours) to give them a chance at seeing if they want to go further and the other workshop for intermediate dancers (2 hours). Musicians Making a Difference (MMAD) will do three workshops, one in Bowraville, one in Macksville and the other in Nambucca Heads over three days.? These workshops will be tailored to suit the young people in the community, for example, songwriting, hip hop, band techniques, singing, etc.? Consultation with young people in each of the communities will take place to decide how the workshops are set up. It is anticipated that Council will be involved in other activities being held around the Shire by partnership with other organisations. Youth Week is an opportunity to highlight young people?s valuable contribution to the community, empower them and create a better acceptance and understanding of young people. There are no economic implications as Council receives funding to hold events in Youth Week. There is a small element of risk during some of the activities.? Supervisors will be in attendance at all events. No impact as all events are fully funded by the Youth Week grant, Council?s allocation and Youth Development Officer Project. The program is designed to fit with available funding. As part of the Our Living Coast Project on-ground works program, $40,000 was devoted to the Grassy Park Reserve Flying Fox camp for a Plan of Management and extensive rehabilitation works for both the camp area and the surrounding native vegetation including extensive bank stabilisation. GeoLink was the preferred consultant to undertake the study, as they have had extensive experience in preparing plans of management for flying fox camps in NSW. The Flying Fox Plan of Management is in its final draft ready for endorsement for public exhibition. That the Flying Fox Plan of Management ? Grassy Park Reserve, Bowraville go on public exhibition for 28 days from 22 March to 23 April 2012. That the Flying Fox Plan of Management ? Grassy Park Reserve, Bowraville does not go on public exhibition. The three species of Flying Fox that occur in NSW are protected under the National Parks and Wildlife Act 1974. The Grey-headed Flying Fox is also listed as Vulnerable within NSW, Commonwealth of Australia and internationally under the International Union for Conservation of Nature and Natural Resources (IUCN) Red List of Threatened Species. The Grey-headed Flying Fox is also protected under commonwealth legislation, under the Environmental Protection and Biodiversity Conservation Act 1999. Bowraville has been home to Flying Foxes for decades, although since 2001 the colony has moved south (downstream) to Grassy Park and is now closer to residential areas. Their camp, once continuously occupied, is in an ideal location for their maternity and roosting as it is close to the river with a good forested riparian zone. Unfortunately this riparian zone is predominately weeds species that include Camphor laurels which are declared a noxious weed in the Nambucca Shire. In 2004 Council was alerted by the community to the particularly large Grey-headed Flying Fox (GHFF) camp in Grassy Park and formed a working party to address some of the issues. An interim plan of action was produced to remove vegetation (Camphor laurels close to residential properties to discourage roosting). Some maintenance in the way of weed removal and a small area of native planting was done in 2005. Camp numbers reduced in the following years. Late 2009 it became apparent that the size of the camp was increasing again and there were thousands of GHFF. There are no formal records on the population dynamics and numbers of flying fox or ratios of GHFF to black Flying Foxes (BFF), there is only anecdotal evidence from community members. There had been no formal flora and fauna studies or surveys conducted in Grassy Park and so there had been no identification of threatened species. In 2010 there was a large (temporary) camp in North Macksville that posed problems to residents. Whilst the Bowraville camp was vacated during the winter Council and Nambucca Valley Landcare started works to remove weed species before the Flying Foxes returned for the maternity period. This work was executed under a Section 95 Certificate issued by DECCW (Office of Environment and Heritage). A weeding program using community based volunteer group was started and this group overseen by Nambucca Valley Landcare. This project endeavoured to remove weedy undergrowth from the surrounding areas to enhance the native species along the riparian zone. In 2011 the Landcare group with help from Generation Green and EnVite weeded and planted an extensive buffer zone between the core camp and the closest residences. Whilst this was happening Council engaged a consultant to prepare a Plan of Management for Grassy Park. This Plan of Management (PoM) also included a concise Vegetation Management Plan. During the Flora and fauna study it became apparent that the vegetation, although degraded by extensive weed species, resembled three Endangered Ecological Communities (EEC?s) of Lowland Rainforest on Floodplain in the NSW North Coast Bioregion, River-flat eucalypt forest on coastal floodplains on the NSW North Coast, Sydney Basin and South East Corner Bioregions, and Subtropical Floodplain Forest of the NSW North Coast Bioregion. These EEC?s are protected under the Threatened Species Conservation Act 1995. The PoM sets out a 5-10 year vegetation management strategy to enhance the area for the protection of both Flying-foxes and residents so they can live side by side harmoniously. The PoM also aims to protect and enhance the EEC?s that are present in the area. In light of the PoM time frame, Nambucca Valley Landcare has applied for 6 year funding under the Biodiversity Fund from the Department of Sustainability, Environment, Water, population and Communities, to continue the work done under the Our Living Coast banner. NB it is known that other Flying Fox camps exist within the Shire and cause the same issues. These camps will be addressed and incorporated into the Regional Flying Fox Plan of Management (RFFPoM) currently being produced by the Our Living Coast project. This document will be presented to Council in the near future. Change ?Development of a prioritised ?? to ?Develop a prioritised??? ? so that this objective also begins with a verb. Grassy Park is the chosen home by Flying Foxes due to its proximity to the limited food supply in the surrounding areas. Grassy Park is a known area of three EEC's and is located in an urban area. For the Flying Foxes to survive we must enhance their chosen camp and protect it whilst helping to alleviate the conflict with residents in the surrounding area. There is a lot more work to be done at Grassy Park. This report is to advise Council that the Minister for Sustainability, Environment, Water, Population and Communities, the Hon. Tony Burke MP has agreed to list the Lowland Rainforest of Subtropical Australia as an Endangered Ecological Community (EEC) under the Environment Protection and Biodiversity Conservation Act 1999 (EPBC Act). Nambucca Shire is affected by this listing as the Shire is identified as an area where the EEC is both "Likely to Occur" and "May Occur". As a consequence any person wishing to clear land or undertake development will need to ensure that a detailed investigation and assessment is undertaken to determine firstly if the EEC exists, and secondly how will the proposal impact on the EEC. The mapping issued with the declaration is very large scale and is based on the 1:250,000; 1:100,000; 1:25,000 & 1:10,000 data sets held by the various Commonwealth and State agencies. Because of the broad scaling used the impact will be significant and will result in considerable costs to the landowner to either demonstrate that the EEC does or does not exist on their land. It is therefore timely that Council consider the benefits of ground truthing the Kendal & Kendall Vegetation Mapping that was done some years ago to provide for a more accurate mapping and identification of this and other EEC's that are "Likely to Occur" or "May Occur" in the shire. 1????????? That Council note the advice that the Lowland Rainforest of Subtropical Australia has been listed as an Endangered Ecological Community (EEC) under the Environment Protection and Biodiversity Conservation Act 1999 (EPBC Act). 2????????? That Council authorise the Grant Officer to investigate funding opportunities to undertake the ground truthing of the indicative vegetation mapping currently used by Council. Council could choose not to seek funding to ground truth the existing indicative vegetation mapping. Advice has been received from the Commonwealth Department of Sustainability, Environment, Water, Population and Communities, that the Minister the Hon. Tony Burke MP has agreed to list the Lowland Rainforest of Subtropical Australia as an Endangered Ecological Community (EEC) under the Environment Protection and Biodiversity Conservation Act 1999 (EPBC Act). The primary location for the Lowland Rainforest of Subtropical Australia is from Maryborough in Queensland down to the Clarence Rive (Grafton) in NSW. However, the EEC is also found in isolated areas between the Clarence River and the Hunter River including the Bellinger and Hastings Valleys. The map that has been prepared and issued with the EEC declaration, identifies Nambucca Shire as an area where the EEC is both "Likely to Occur" and "May Occur". The mapping is very broad scale as it is based on the 1:250,000; 1:100,000; 1:25,000 & 1:10,000 data sets held by the various Commonwealth and State agencies. Because of the broad scaling used, the impact will be significant and will result in considerable costs to a landowner to either demonstrate that the EEC does not exist on their land if they propose to clear land or undertake development. With this EEC declaration, along with other declarations that affect the Nambucca Local Government Area and the potentially high individual costs to engage the services of a duly qualified person to undertake investigations on an individual basis, it is considered timely that Council review the benefits of ground truthing the Kendall & Kendall Vegetation Mapping that was done some years ago to provide for a more accurate and comprehensive mapping and identification of this and other EEC's that are "Likely to Occur" or "May Occur" in the shire. Council has identified the Ground Truthing in the Environmental Levy program for the 2015/16 budget year subject to obtaining at least a $ for $ funding. It may be advantageous to reschedule this project earlier and authorise Council's Grants Officer to investigate and make application for funding under any appropriate funding program to obtain at least $ for $ funding. In the meantime, staff will seek access to a digital copy of the distribution maps for this EEC for the Nambucca LGA to include it as a GIS layer so that information may be available for any person proposing development of their land to ensure that the EEC is investigated before undertaking any work as hefty fines apply for any person who impacts upon an EEC. Declaration of an Endangered Ecological Community follows a very vigorous process by the Scientific Committee to identify and protect an EEC. There are both advantages and disadvantages with an EEC declaration as it provides protection for future generations and also it may impose some constraints on individual landowners or land managers. The declaration of an EEC may have economic impacts on a landowner/manager. However, there are economic benefits and opportunities with such declarations for Eco tourism opportunities. Council works may need to be revised if undertakings are proposed in or near the EEC. Ground Truthing the Vegetation Mapping will assist Council to avoid any potential breach for works being undertaken within or that may impact upon an EEC. Any costs incurred by Council for ground truthing would come from an allocated Environmental Levy budget. Environmental Levy and external grants funds. No variations sought at this preliminary stage. The Department of Planning and Infrastructure have released their Local Development Performance Monitoring of Local Government for the 2010/2011 period. Nambucca Shire has maintained it averages on par with the other Group 11 Council's in NSW. The entire documents are available online from the Department of Planning & Infrastructure website. 1????????? That Council note the release of the 2010-11 Local Development Performance Monitoring report released by the NSW Department of Planning & Infrastructure. 2????????? That Council note that Nambucca Shire Council has performed well in comparison to the previous year and the Group 11 Council averages. The report is for information only. The Department of Planning and Infrastructure have been undertaking Local Development Performance Monitoring since 2005-06 and the extent and accuracy of data collection has improved and been refined. Whilst the use of the data is good it should not be considered as the be all and end all in performance as there are many local factors that are not brought out in the data. Most importantly there is no test or judgement on the quality of approvals and projects coming out of the assessment process.